If you have multiple locations with our systems that you need to control and monitor, instead of logging out of one site and logging into another you can have multiple locations on your device at the same time. There are numerous app cloners and virtual apps that will allow you to run the same app more than once in the Android Play Store. The ones that we have tested all seem to work except for the push notifications. If you want to have push notifications for more than one location at the same time on your device, there is one that has been tested: App Cloner by AppListo. The push notifications work for all of your locations and sites and you can stay logged in on all of them. You will get notifications on arming, disarming, alarms, etc. simultaneously. You can even change the icons on your device so you can differentiate between them. If you don't need the push notifications, the other similar apps will work fine such as 2Face - Multi Accounts by Cheetah Mobile. App Cloner by AppListo is ad free, and if it works for you, consider making a donation to the developers which is under Settings>Donations in their app to help support the project. *Apple devices currently do not support running the same app more than once. 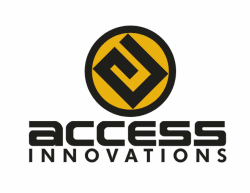 Access Innovations offers live remote technical support on our website directly through your web browser and internet connection, and it's so easy a novice can do it. It's as if we're sitting right in front of you. We can instantly view, diagnose, and resolve many technical issues without having a technician visit your location. This saves you from having to schedule a visit so you can get back to business quickly. Our remote support connection is fully encrypted end-to-end and uses industry standard Secure Sockets Layer (SSL) and 128-bit Advanced Encryption Standard (AES). This encryption technology is to ensure complete security and confidentiality of the support session. This is the same standard used by online banking and online payment processing services. In simple words, this is extremely safe and secure. ​We support all major operating systems and the support session is setup within seconds. This is just another way we try to save you time to get you back up and running as fast as possible. Unfortunately, Cox Communications DOES NOT support this automatic encryption. This means that any email that you send or receive from your e-mail account with them is sent in plain text and is open to eavesdropping, tampering, and forgery. They never responded when we reached out to them to see if it would be supported in the future. We would highly recommend that you use a different e-mail provider. When an e-mail is sent from a provider that supports this encryption, it checks the receiving provider to see if it also supports this TLS encryption (Transport Layer Security). If it does, then the e-mail is encrypted in-transit to the receiving provider. If the receiving provider does not support TLS, then the e-mail is sent in plain text. This allows for universal compatibility. You can feel confident that any documents or communication between us that is done over e-mail is secure and will not pose a risk to you. With all of the news today on data breaches, hacks, and information leakage, this post is to assure you of the steps that are taken with your personally identifiable information. First, any information that is in print form is professionally shredded and destroyed by Iron Mountain and guaranteed unrecoverable. They use state-of-the art locks, security measures, and employee screening to make sure your private information never gets into the wrong hands. The paper is then recycled so there is less environmental impact. 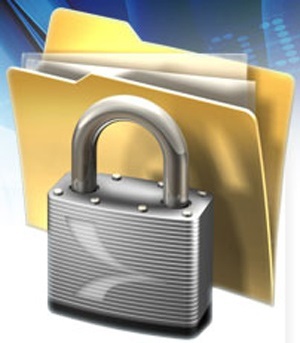 Your electronic documents are encrypted and sent securely to servers at Amazon S3. This is the same infrastructure that runs Amazon's own services as well as Netflix, Pinterest, Expedia and many many more. Amazon's servers are secure by default, implementing many layers of security, such as physical security as well as a secure network architecture. Amazon has many certifications including ISO27001, PCI DSS Level 1, and many more. We also use firewalls, IDS/IPS, anti-malware, network segmentation, two-factor authentication, and many other bank grade mitigation techniques. Basically we have partnered with some of the best in class for document destruction and data security so your data is always safe. Everyone has heard the commercials before. A carrier claims to have the fastest data. Another may claim the most coverage. Yet another may claim the least amount of dropped calls. The fact is that depending on where you are located the coverage and reliability may be completely different a few miles away. Every carrier is not the best in every single area. Cell towers may be in different locations with different carriers. The technology and frequency that they use means some have better in-building coverage over the others. Many of your security systems utilize cell technology for communications. Now, if we can't get a good signal on one carrier, we can easily switch to another to get the best signal in your home or business. In addition, we fallback (backup) to another carrier in the event we lose communication or there is an issue with a tower. Currently, we can have AT&T for primary communications with T-Mobile as a fallback or Sprint for primary communications with Verizon as a fallback. So no matter where you are located or what mother nature gives us, we have reliable and dependable service. and I wouldn't call a landscaper to work on my car. When it comes to the protection of your family or business, you need reliable equipment and professional grade monitoring. In an effort to shore up profits, many hardware stores are now trying to sell D.I.Y. (do-it-yourself) type security systems. All of these systems are all-in-one type systems that are easily bypassed. Many insurance companies won't even recognize it as a fully monitored system and you won't get the discounts available to you on your policy. For around the same price of the equipment you would be able to get a professionally installed system by our team of experts. Each technician is licensed and has an average of over 20 years in the industry with the technical knowledge and expertise to properly install and service security systems. This kind of experience won't come inside the box of equipment at the hardware store. Installation is critical. For example, an installation of a sensor on a wood door is different than a metal door yet with the D.I.Y. systems you would never know this and it could cause false alarms. Motion sensors need to be installed correctly. The wiring into your phone line or network also needs to be done properly so it can't be easily circumvented. Most cities will now charge for false alarms that are caused by malfunctioning equipment or improper installation, which can be very costly. There is tremendous value in a professionally installed system, contact us today for a recommended system for your home or business! Sparkling on your new TV? 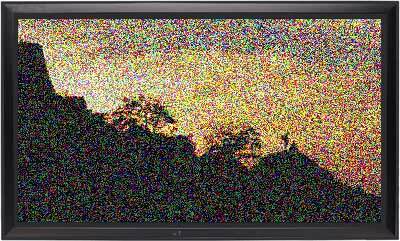 If you have recently purchased or hooked up a new TV and get sparkling or artifacts on the screen or you can't get your full resolution, the likely culprit is in your HDMI line. All HDMI cables are NOT created equal. The version number, gauge, shielding, and construction all come into play. Trust us, we have installed thousands of them! Your cable needs to have adequate shielding to reject RFI/EMI (Radio Frequency & Electromagnetic Interference). The construction is important because it needs to be CL2 rated if it will be installed in-wall, because it complies with fire safety and insurance requirements. The gauge is the measurement of how large the individual cables are. You need an increasingly larger cable the longer it is. As for the spec., you want 2.0 if you are getting a 4K display at 60fps. Anything at 4K @ 30fps or below, 1.4 will suffice. If you have a long distance run, say 30-60 feet, make sure the cable is 24 gauge and not the usual 28 gauge. Even with the larger cable you may still experience sparking because your source video signal or your TV's receiver isn't strong enough or if you have had to downscale to a lower video resolution. In that case, a signal amplifier may be needed. Contact us and we can recommend the right amplifier for your situation. This would be a continuation of the previous blog post regarding the pros and cons of having a landline. After the first post regarding the subject, we received many inquiries regarding going "wireless". Although there are still many advantages of having a landline as discussed earlier, we are now going to look at the flip side of that coin. The main reason that people "cut the cord" is for the money savings. After the many taxes and fees associated with having a landline, the cost of having one could usually averages $40 - $50 per month! That is a lot of money when you also have a cell phone in your pocket. Now that most wireless carriers have unlimited plans, watching those minutes is no longer an issue. You can now get a nationwide unlimited plan for around $50 per month, about 1/2 the price of the larger carriers. nTelos, which is headquartered in Virginia, uses their own infrastructure as well as the national Sprint infrastructure for nationwide unlimited coverage so you get the same nationwide service for less. We have used them since the 90's and have been very pleased. We also feel good about supporting Virginia based business's which keeps jobs and investment here. Another hidden tip is you can use a new or existing Verizon or Sprint phone and have it flashed (programmed) to nTelos. Combine these 2 tips together and that is a savings of about $100 PER MONTH or $1200 per year savings! Who wouldn't want that? As for your alarm system, if there isn't a phone line we will switch the communication path so it is communicating over IP, WIFI, or cellular service. When we use the cellular service, it is independent of your cell phone and we are connecting directly to the cell towers. It does cost a little extra due to the fees from the cell carriers to use their network, but the net savings from dropping your landline outweighs it. Determine if you need a landline from the points in the previous post. If you determine that a landline is not for you, contact us and we can schedule switching your communication path. We always receive phone calls from our customers asking what internet speed tier they should pick with their internet service provider. It seems that the customer reps will ask what devices they have and when it is mentioned that they have security cameras or home automation devices the rep will recommend and upsell the customer on an expensive tier that is usually not needed. One myth is that a higher level tier makes your internet browsing faster. The truth is, unless you are hitting the speed cap on your current tier, you will not notice any difference in speed by stepping up to a higher tier. If you we're streaming a video from YouTube, you would average no more than 300 Kilobits per second according to Wikipedia. This means 4 devices could all be streaming video at the same time and only 1.2Mb would be needed. Keep in mind videos and music uses the most bandwidth where simple web surfing would only use a fraction of that. If you stream NetFlix, they recommend a 3Mbps connection for SD quality videos and 5Mbps for HD quality videos. Your alarm system and cameras are generally under 100kbps. Take a look at your internet providers bill and more than likely you are in a tier of 10, 15, or 25Mbps or higher. Dropping this down to 3-5 Mbps would save $10-$20 or more per month with hardly any noticeable difference whatsoever. It has come to our attention that many of our customers, after moving into their home, call their internet service providers to have their cable, phone, and internet services activated. We have noticed that many times the technician will leave their modem and/or their eMTA box (the box for your land line) on a floor somewhere, in a bedroom, or worse just sitting on a kitchen counter. If you have a structured wiring smartbox, then these should be installed at that location. With structured wiring, all of your phone lines, data lines, and cable lines terminate at this one location. When the modem is installed there, you can activate all of the phone jacks in the house, activate the data ports, and correctly split and amplify the cable signal. When the modem is installed in an incorrect location, sometimes you only get to activate one cordless phone or it's backfed to the smartbox by being plugged into a wall jack. Not only is this unsightly, but it limits the distribution and causes you to buy un-needed equipment such as network switches that you might not otherwise need. Therefore, installing the modem in an incorrect location only saves the technician a little time in labor.